How do I complete mobile offers? You can complete mobile offers from your mobile device in the same way you would on a desktop device. Follow the offer instructions to receive your points! You can even view the app download offers that are available to you on a desktop device at Earn > Apps. 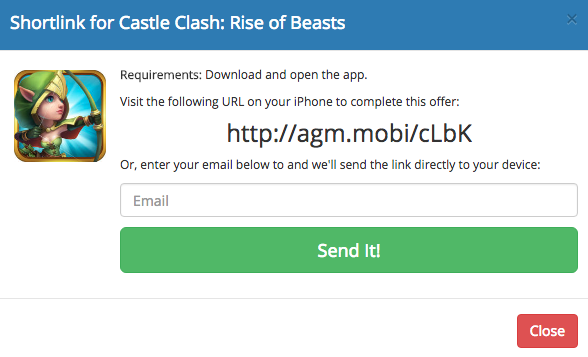 Clicking an offer will allow you to email yourself a personalised link. Just click on the link from your mobile device and pick up from where you left off!